WebMoney Transfer — globali atsiskaitymo sistema ir aplinka internetinio verslo veiklai. WebMoney Transfer Technology yra paremta teikiant visiems savo vartotojams unikalius interfeisus, leidžiančius jiems naudoti ir valdyti individualias nuosavybes teises į vertybes (turtą), saugomas specializuotose subjektuose – Garantuose. Jeśli nadal nie posiadasz Portfela WebMoney, możesz go zarejestrować na witrynie WebMoney. 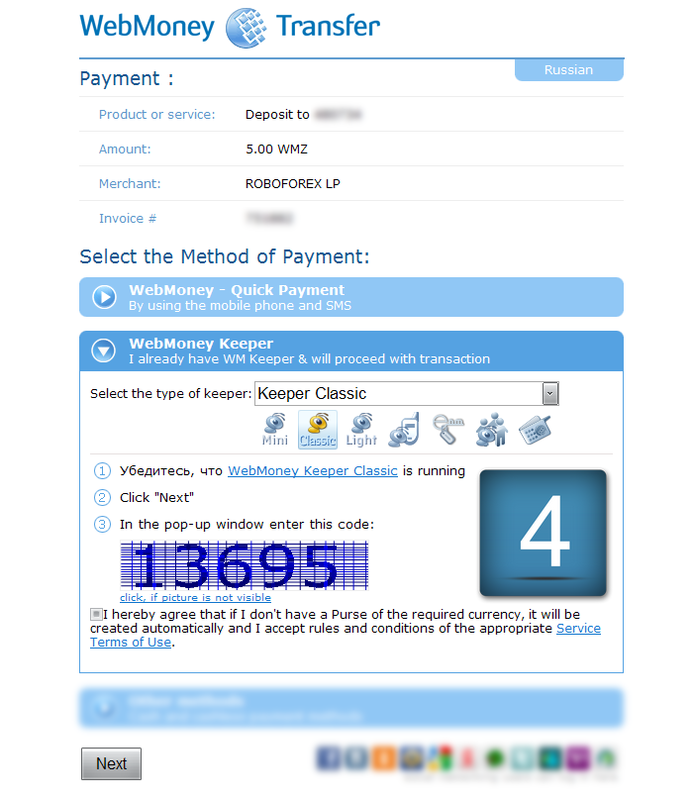 Instruction how to deposit funds using WebMoney Keeper Classic 3.9.9.0 with verification via SMS. 1. 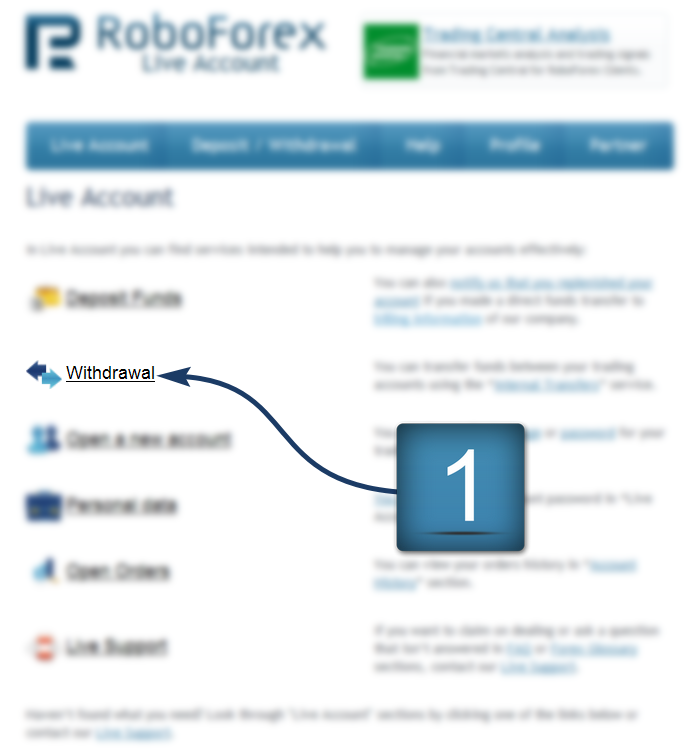 Login to your RoboForex Live Account. Choose "Deposit Funds" from the main menu. 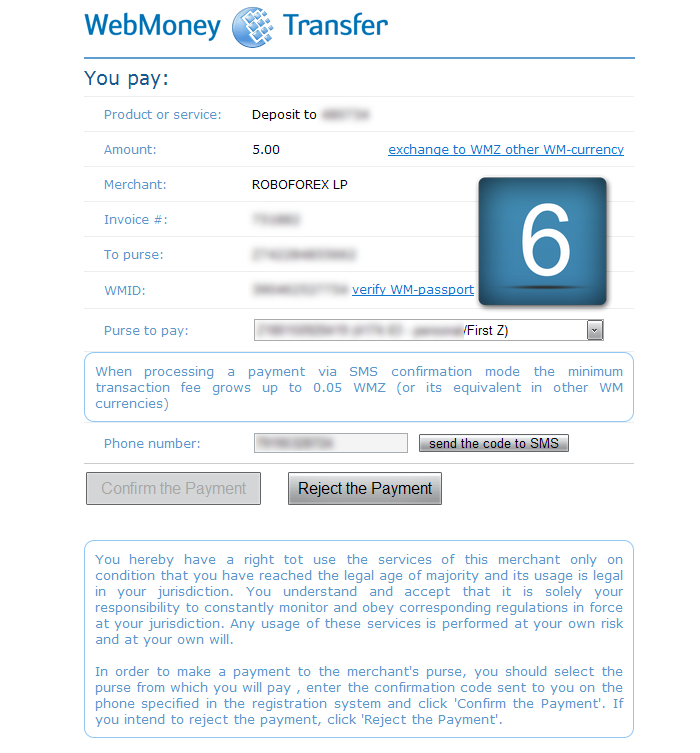 2.Choose "WebMoney" from the list of the payment systems. Specify the amount, the currency of the transaction, and the account number. Then click "Deposit Funds". 3. 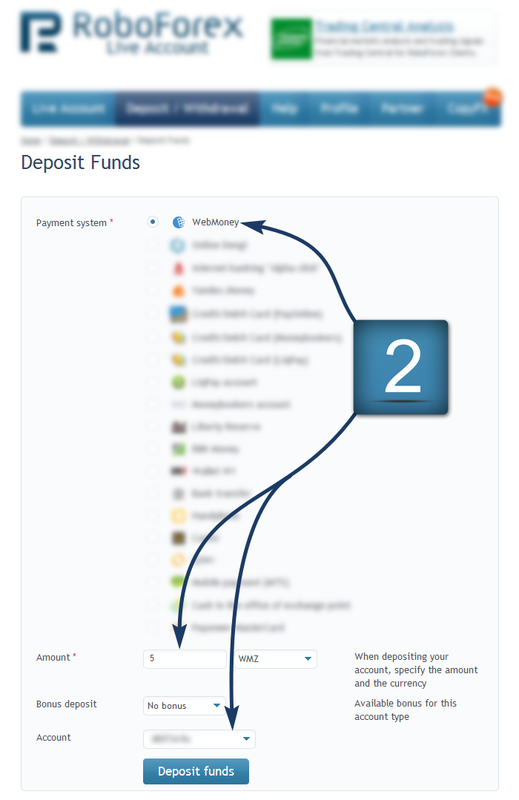 Confirm your deposit by clicking "Deposit Funds" or cancel it by clicking "Cancel". 4. Check your transaction information. 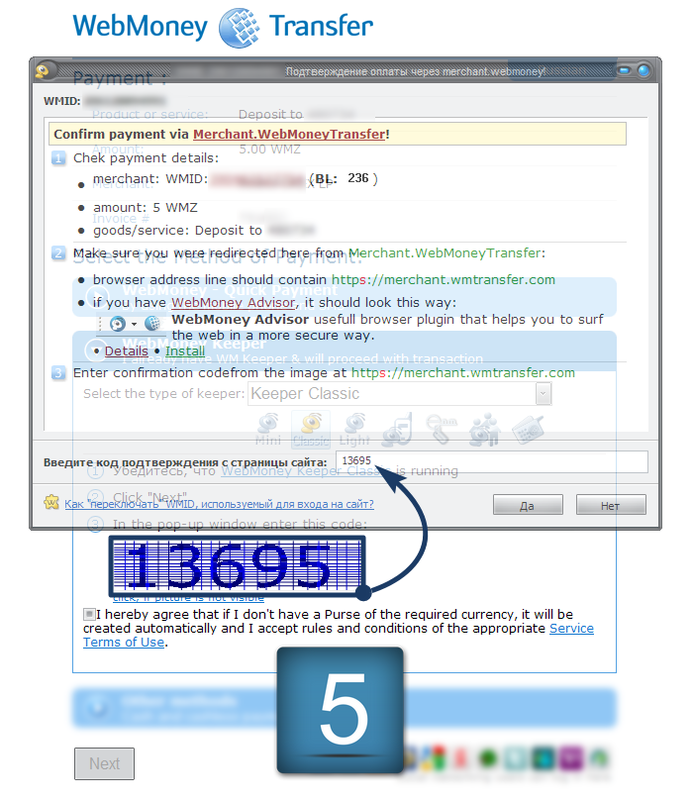 Choose the method of payment (remember, these instruction were written for WebMoney Keeper Classic 3.9.9.0 with verification via SMS) and click "Next". 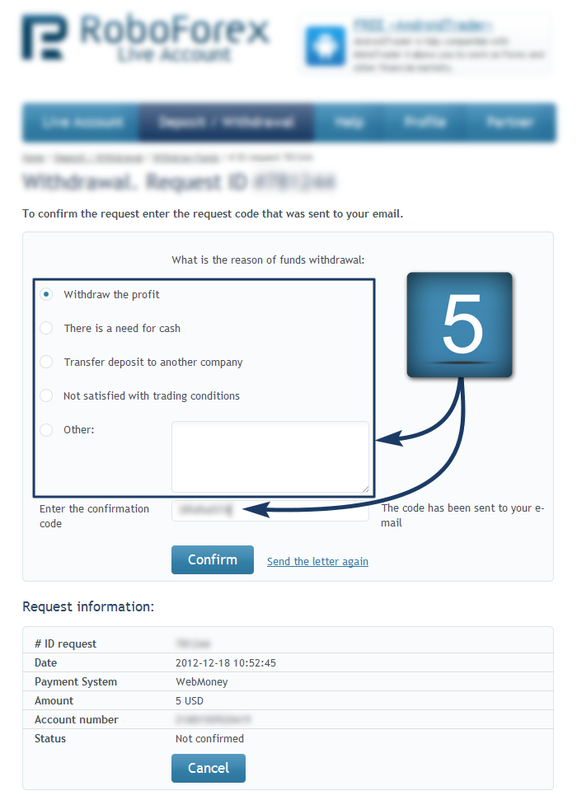 5.Enter the confirmation code from the picture below and click "Yes". 6. 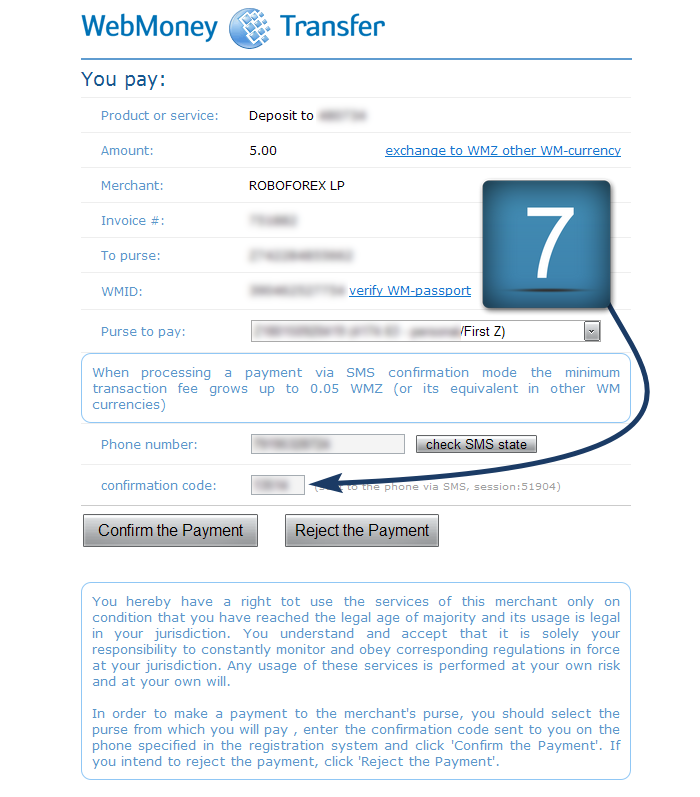 Check if the transaction information is correct, enter your mobile phone number, and click "Get code via SMS". 7. Enter the code you received via SMS and click "Confirm" (or "Cancel" if you decided to cancel the transaction). 8. 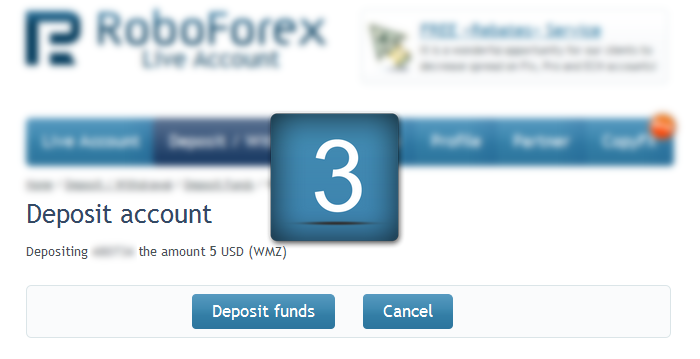 In case of successful transaction, you will be notified that the funds have been deposited to your trading account. 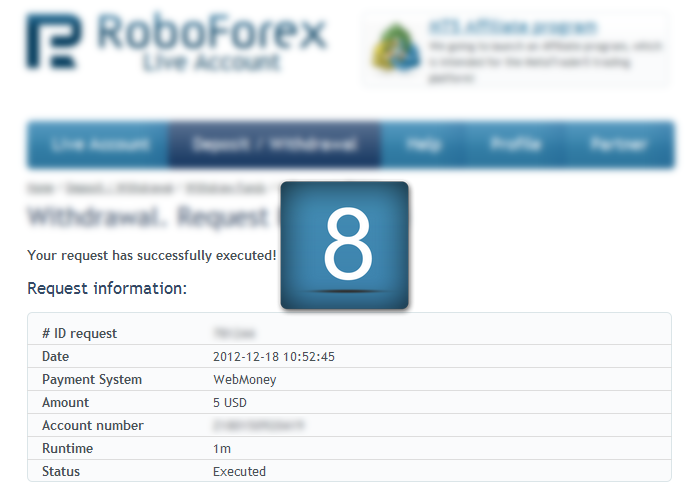 9.In RoboForex Live Account your request will be displayed as "Completed". 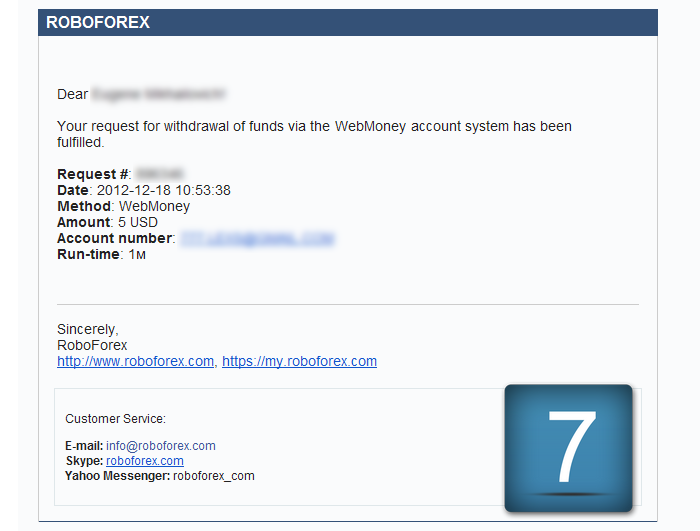 Instructions how to withdraw funds from trading account using WebMoney payment system. 1. 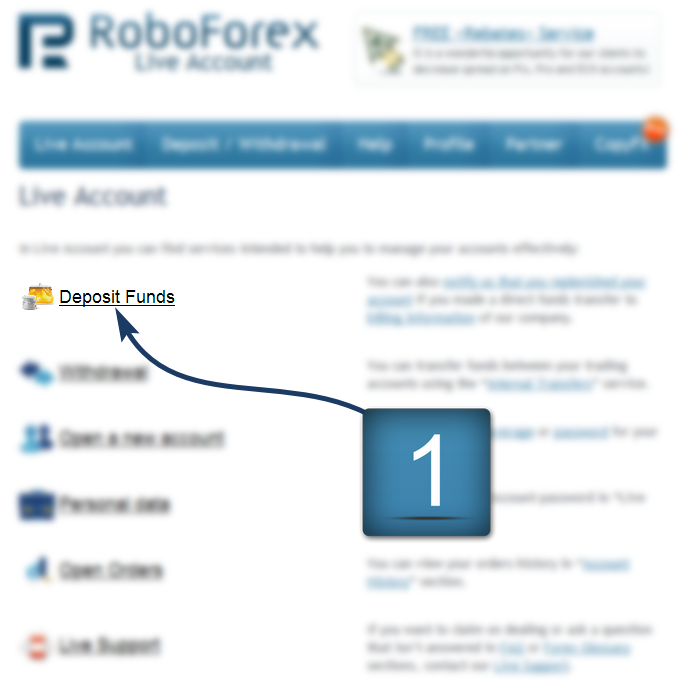 Login to your RoboForex Live Account. Choose "Withdrawal" from the main menu. 2. 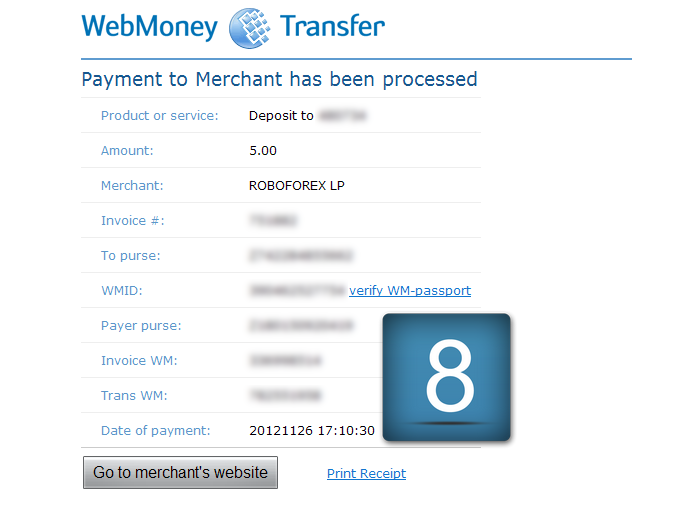 Choose "WebMoney" from the list of the payment systems. 3. Fill in the required fields. 4. 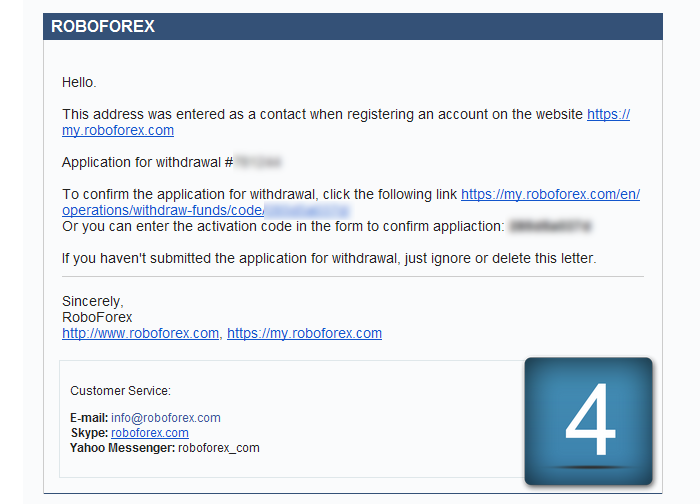 You will receive an email from [email protected] with the code to confirm your application for withdrawal. 5. 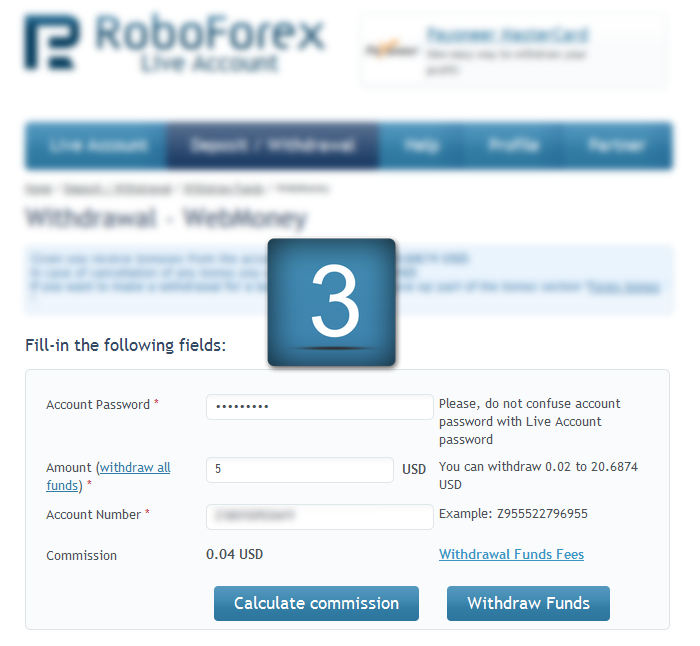 In "Withdrawal" section, enter the confirmation code (see step 4) and specify the reason of funds withdrawal. 6. 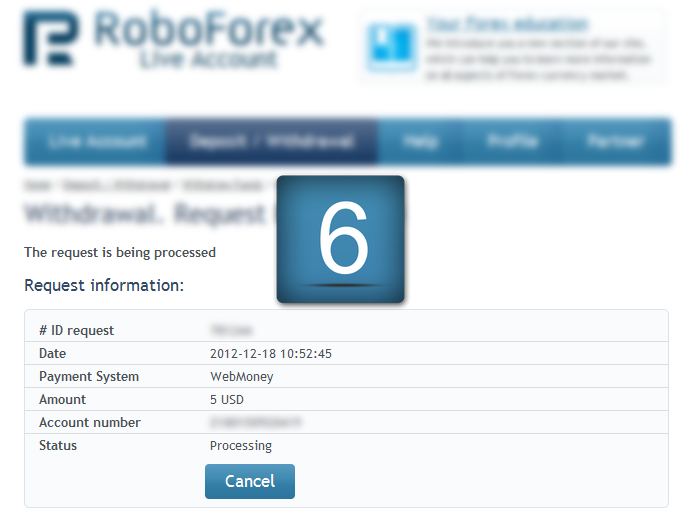 In your RoboForex Live Account the status of your request will be displayed as "Processing". 7. After your request is successfully processed, you will receive an E-mail from [email protected]. 8. 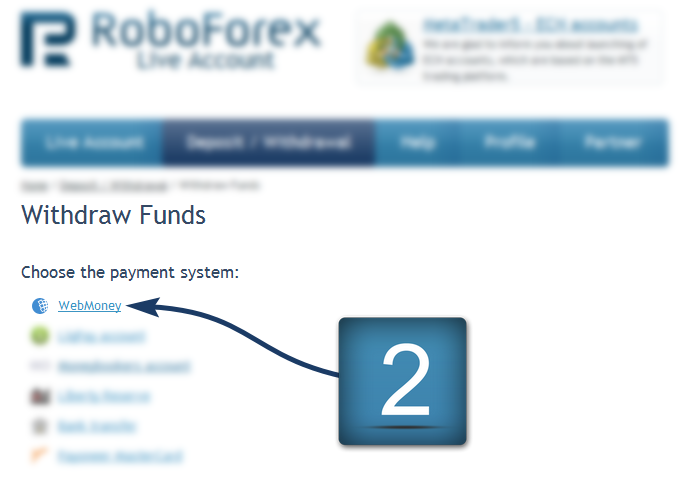 In your RoboForex Live Account the status of your request will be changed to "Executed".